Join the discussion on our forums! Come discuss Lifedrinker over in our dedicated Lifedrinker discussion topic. Nine months later, Lifedrinker was born! I think this card will be a sleeper strong card. Not meta defining, but I think very good. 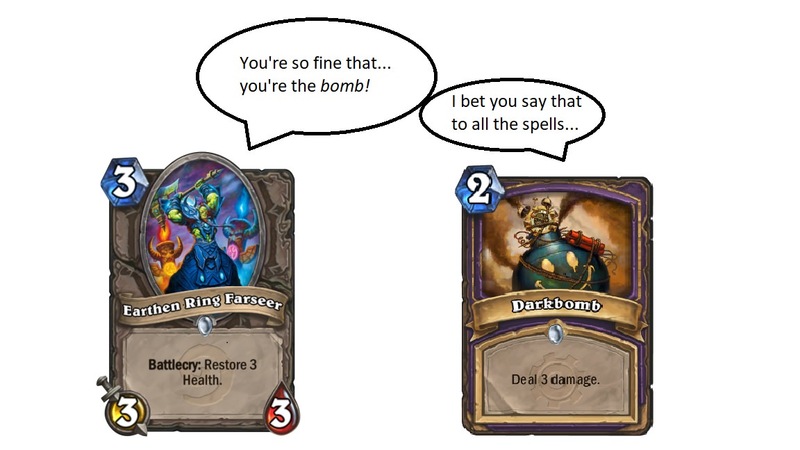 It actually is meta defining thanks to that fucker named Shudderwock. Love how this card enabled an archetype of otk. If Nightblade had to have been run instead I don't think Shudderwock OTK would have had enough sustain. If Glinda - Summoning Portal type decks are good, you could run this I guess. 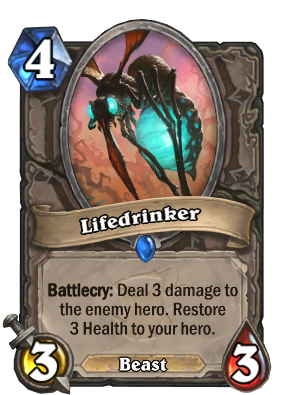 Basically a 3 mana 3/3 with Lifesteal Deal 3 damage. Definitely worth the cost, just not super impactful. I'm glad to see that they've started basing Hearthstone cards on Australian wildlife. It looks like a paladin card but at first sight it looks like it would be good in shaman with maybe some fringe meme applications like in fatigue decks. Would you play nightblade if it healed you for 3? NO. This art's giving me baby spellskite vibes. That said, I'm unsure of how good this card could actually be. You give up a bit of board tempo for an immediate health advantage, but that doesn't sound all that great. Doesn't really make for a good burst tool either.